We are looking for super organised people, who are assured, focused and tactical in their approach. If planning is your thing and you can see yourself managing projects, big and small- keep reading. 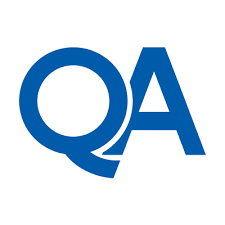 A QA Associate Project Manager apprenticeship sets you up with the skills needed for a career in project management and teaches you crucial business processes- essentially you’ll be at the heart of the action. As well as learning mission critical expertise, you’ll also be earning a salary. If you are ready to change the way businesses work and increase capability in an organisation of any size, you are in the right place. You’ll love a challenge, be a great communicator and have passion for planning. Don’t worry if you don’t think you are the finished article. You will learn and grow on your apprenticeship.